There was no winner of our Club Lotto Jackpot on Sunday night last. The numbers drawn were 17, 19, 20 & 25. The five €30 consolation prizes went to Fred and Frieda c/o Gerry Moriarty, Elaine Daly Kerin’s Park , Aisling Curran Blennerville, Kevin O’Shea Laurel Court and Michelle Allman c/o Brendan Poff. Next week’s Lotto will have a Jackpot of €5,500 and the draw will take place on Sunday night April 21st in Skelper Quane’s Bar. Lotto tickets can be purchased online, from any club officer or at the following outlets: Seamus O’Sullivan Master Butchers, O’Shea’s Shop and Service Station, Poff Motors, Noyeks, Byrnesworth, Rock Inn, Dwyer’s Bar, Skelper Quane’s, Betty’s Bar and Keane’s of Curraheen. Late membership registrations are still being accepted and we urge any member playing with any age group who has yet to register for 2019 to register immediately. It is important that playing members register for 2019 to avoid any issues in the event of having to seek support from the GAA player injury benefit scheme. 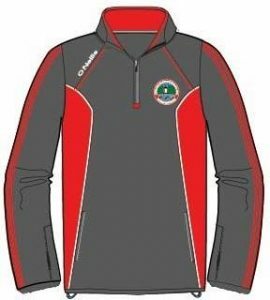 The preferred method for registering as a member of St. Pats GAA club is through our on-line membership access which is available on our website – www.stpatsgaaclub.com or via our Facebook page. The club is required to collect and manage members details provided through membership registration in compliance with the General Data Protection Regulation (GDPR). The on-line registration access greatly facilitates the Clubs ability to comply with GDPR requirements. We urge all our members to register on-line however in the exceptional circumstance that you are not in a position to do this we do appreciate your application for membership registration by using the membership form which can be downloaded from the ‘membership’ section on the website www.stpatsgaaclub.com. The form will also be available at training sessions. It’s time to start planning for the June ‘Bank Holiday’ weekend! Dingle Way Challenge 2019 is ready to go, and this year’s route is better than ever. Think Luke Skywalker, Páidí Ó Sé and Tom Crean – all in one day!!! All the usual services will be there such as hot breakfast, lunch, BBQ, bus transfers, Ambulance support etc. The list goes on… You can go to: www.stpatsgaaclub.com<www.stpatsgaaclub.com> to register. Please note that the Early Bird rate ends at the end of this month, so please register now to secure the discount. Thanks for your continued support, and looking forward to seeing you all on Sunday June 2nd. U6: Well done to the boys and girls that braved the windy conditions to turn up for training last Sunday morning. All enjoyed practicing and learning new skills. Thanks to the coaches that helped out. On Easter weekend we will train on Good Friday evening followed by a team egg hunt within the grounds of St Pats. Hopefully it’ll be a fun evening for all! U8: Our u8’s trained in windy conditions last Sunday on our astro turf under the watchful eyes of their coaches and parents. Despite the weather, it was delightful to see all the happy faces as they learnt their skills. With the large number of players at the academy on Sunday mornings, we still require help from parents every week to provide tea’s/coffee’s for the adults and hot chocolate for the kids. So we ask all parents to contact Joe on 0872593800 and let him know what Sunday’s you can assist with. Finally, we have lots of football blitzes ahead of us with the first blitz coming up over Easter. It will take place in John Mitchels GAA grounds on Wednesday April 24th at 4pm. Details will be communicated to the parents in the coming days. Academy is this Friday, 19th April at 6.15pm on our astro turf. Hope to see you all there. U10: The very cold wind blowing across the pitch last Sunday morning wasn’t enough to deter our young players as they continued to develop their football skills and fitness. Again we emphasise how important it is to put in some ball practice at home and to do some exercise during the week between sessions. All our players put good effort into the session and over the next few weeks we will be putting more work into kicking and passing while on the move. Rian Flynn, Tara Dowling, Aimee Turner, Sharon Enright and Chloe Passway were to the fore in our hand passing game. In the end of session match Ródhan Culloo, Gearóid Hingston, Conor Sheehan, Rhianna O’Brien and Stephen Enright excelled. As usual we were presented with many choices for the Player of the Week and the well deserving choice was Gearoid Hingston. Note the change of day and time for the Academy this weekend; it will be on Friday 19th at 6.15pm instead of Sunday. The change is to allow our young players to have time to indulge in an Easter egg or two, all part of the controlled diet of the modern player! On Thursday 25th April the Under 10’s are scheduled to take part in an Under 10 Go Games Easter Blitz in John Mitchel’s G.A.A Grounds Tralee. The blitz is being organised by Kerry GAA and our first game is scheduled for 4pm and all our players to assemble at Mitchel’s G.A.A Grounds for 3:30pm. Further details will issue from the Club in the coming days. U12: St Pats U-12’s were at home against Waterville in a highly entertaining game last Sunday in round 2 of the Co League. Unfortunately the result didn’t go our way but all our St Pats future stars did their club very proud with heart, skill and great team work. The panel that togged out on the day was Conor Keane, Garry Scollard, Aiden Hayes, Enda Sheehan, Kevin Gaxha, Michael Enright, Liam O’Connor, Daniel Sheehy, Jack Costello, Darragh Murphy, Conor Sheehan, Rory Daly, Rodhan Culloo, Markus Keane, Killian O’Mahony, Luke Passway, Mark O’Brien. The schedule of our next training session and Co league match will be circulated during the week. It’s important ye all continue to attend our training sessions and also keep practicing yer skills at home during the week. Naomh Pádraig Abú!! U14 Girls: Our girls had another outstanding victory against Spa last Saturday afternoon on a score line of 6-08 to 2-00. Played in atrocious conditions, our girls managed to notch up 5-02 playing against a very strong wind and torrential rain in the first half. As always, every girl contributed to this win where heart, skill and team work were to the fore. Our next match will be away to Ballymac B in a few weeks. U14 Boys: Our U14 boys had a very busy week when they played Duagh in the County League last Wedne evening. After a shaky first half, we played strongly in the second half but came out second best in the end. On Saturday, our boys were out again in Ballyduff to play Feile qualifying matches against the hosts and St Senans. Playing in windy conditions, we played some good football but St Senans prevailed on the day as they qualified for the next phase. Our attention now turns back to the County League this Wednesday, when we travel back West to take on Dingle at 7pm. U16: We were well beaten last Monday against John Mitchels in the Central Region competition and we hope to bounce back from that defeat when we make the short trip to Killorglin to take on Laune Rangers B on Monday15th April at 7pm. Playing with the aid of the wind, St Michaels-Foilmore found the back of the net in the first minute from their very first attack through Ronan Clifford from a high ball sent in. St Pats got on the score board through a free 2 minutes later only for Matthew O’Sullivan to restore their goal advantage when he converted a free. St Pats drew level after 13 minutes with 3 straight points only for the away side to reciprocate with 3 unanswered points of their own. St Michael’s-Foilmore’s high pressing game set up made it difficult for St Pat’s to put passes together as they had 3 men tackling each time. Paudi Bailey was called into action when he had to make a save from Brian Smith only for his saved effort to go over for a point. Matthew O’Sullivan converted a late free as the away side took a 1-06 to 0-05 lead to the break. St Pats stormed out of the blocks in the second half and within 6 minutes had amassed a score of 1-03 to lead by 2 points. The goal was worked from the back through an intercepted ball and no less than 8 players worked the ball upfield before it ended in the back of the net to the delight of the home supporters. We added a couple of points to stretch the lead to 4 points and Paudi Bailey was again called into action when he saved a Matthew O’Sullivan penalty mid-way into the game. However, the away side rallied through frees converted by Matthew O Sullivan and a goal scored by substitute, Pierce McGill with 7 minutes of play left. St Pats leveled matters 2 minutes later as the match ended on a score line of St Pats 1-11 to 2-08 from St-Michaels-Foilmore. This draw means it is all to play for next week in a winner takes all encounter when we play away to St Senans this Sunday, the 21st of April at 2.30pm. We urge our supporters to come out and support the team this Sunday in Mountcoal. Weekly Prayer Meetings: Led by Ben Perkins, Mondays 8.00pm-9.30pm starts on 29th April. Overview of the Catechism of the Catholic Church: Fr. Sean Sheehy, Wednesdays 7.00pm-8.30pm starts on 1st May (for 5 weeks). Adoration Diocesan Committee Annual Retreat Day: Thurs. 30th May, 9.30am-4.00pm. Kerry Clergy Retreat: Fr. Sylvester O’Flynn, PFM Cap., Sun. 2nd to Thurs. 6th June. Summer Retreat: Fr. Philip Baxter, OFM Cap., Rescheduled dates are Fri. 7th to Thurs.13th June instead of July 5th-11th. Bookings: Phone 0667134276. The club would like to extend its sympathy to the family and friends of Dominic O’Sullivan Dublin and late of Hare St.